Cost: $15 general admission, $10 for AARP members with discount code! Experience a guided meditation with Tibetan singing bowls conducted by Alex Gopali, a master singing bowl healer. His meditation of relaxation and restored balance using the seven healing Chakra bowls contributes to a greater state of health and wellness. Alex grew up in the Himalayan country of Nepal and will also speak about the history, tradition and benefits of the signing bowls. Alex Gopali was born and raised in Makawanpur, Nepal. His paternal grandfather was a spiritual master who taught him humming, chanting and harmony. His father and grandfather were traders who traveled far and wide, bringing back stories of their adventures and inspiring Alex in his desire to do the same. 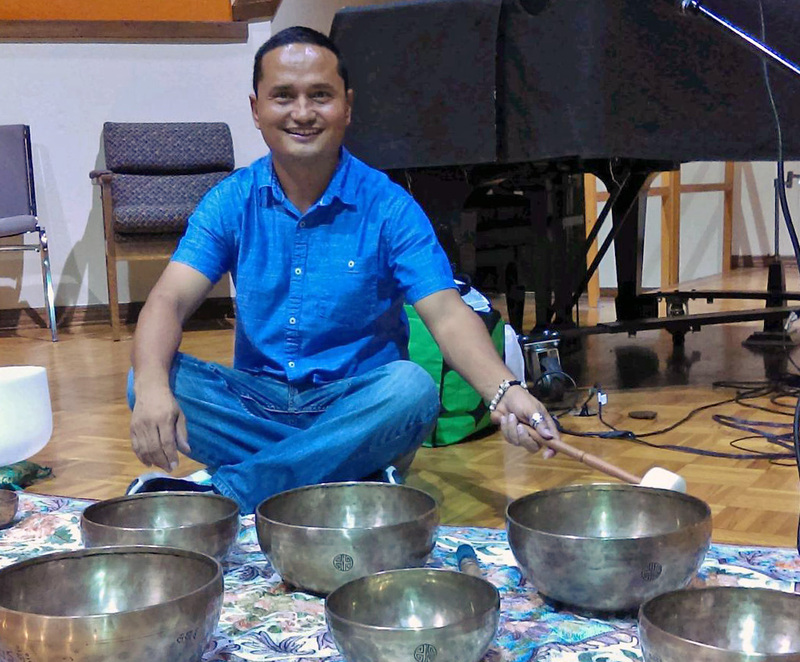 After opening Gopali Imports at 645 Central Ave in the Crislip Arcade, he returned to Nepal to study with a master singing bowl healer whose family has been making singing bowls for generations. Alex now offers hour long treatments, certification and work shops with seven healing Chakra balancing bowls.